The Department of Oruro is well known for the Carnival that is held in the capital city, also called Oruro since it is one of the biggest in South America after the Carnival in Rio de Janeiro. It was declared an Intangible Heritage of Humanity in 2001 by UNESCO. 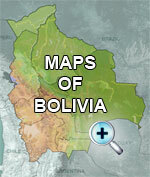 Located on the Altiplano, this department has the quirquincho (Andean armadillo) as its emblem. The shell of this armadillo is used to make the charango (Bolivian stringed instrument similar to the guitar). In addition to the quirquincho the territory is home to fauna typical of the Altiplano: llamas, alpacas, vicuñas, pumas, viscacha, pink flamingos, condors, etc. 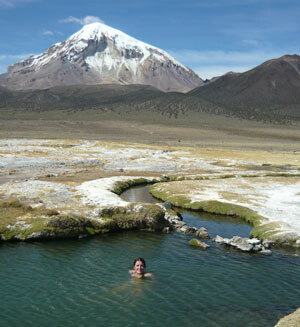 Included among its great tourist attractions is the Sajama National Park whose snowy volcanic peak is the highest in Bolivia (6542 masl) and whose foothills are home to incredible hot springs. 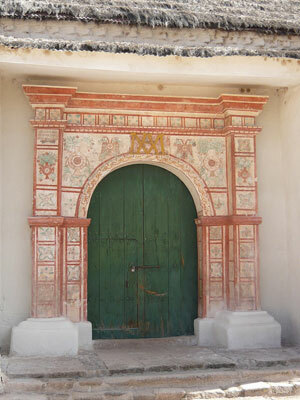 On the road to Sajama you can find other attractions such as Curahara de Carangas, a small city typical of the Altiplano that has beautiful colonial churches covered with Biblical images with an Andean touch. To the south in this department is the Coipasa Salt Plain which is eclipsed by the Uyuni Salt Plain and the surprising Urus Lakes. 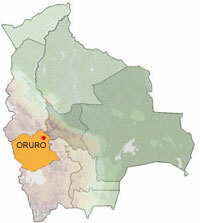 During Carnival and at other times, the Department of Oruro gives you more than one reason for a visit. If you are passing through the capital, don't forget to visit the Socavón church, the main church in this mining city that is connected by an air duct with a grotto which used to be a mine.